This is it! The only Christmas cookie you'll need. 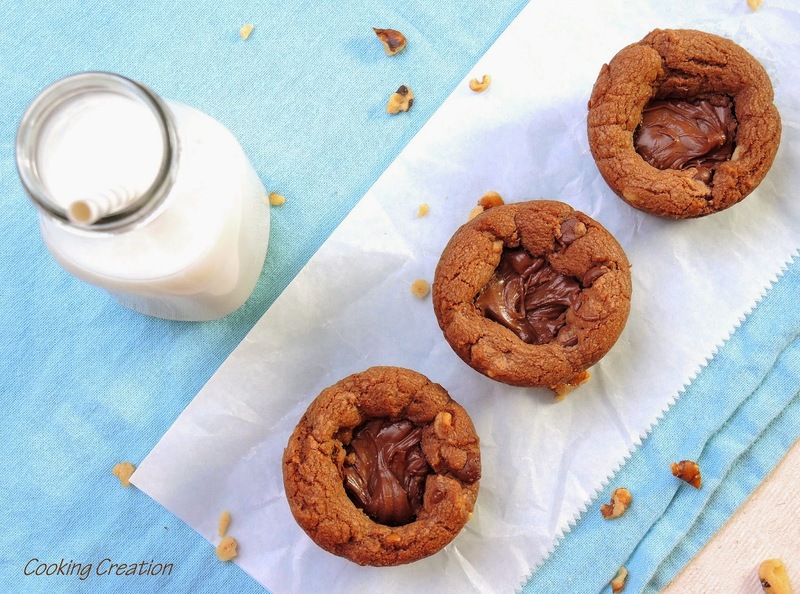 Nutella chocolate chip cookies with walnuts and a dollop of Nutella in the center. These are so amazingly amazing! 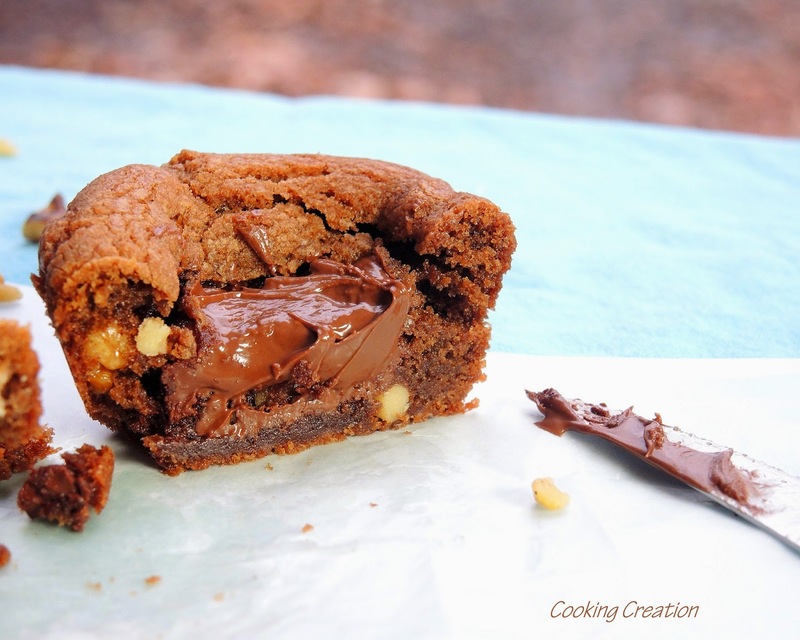 It's like a cross between a cookie and a brownie. 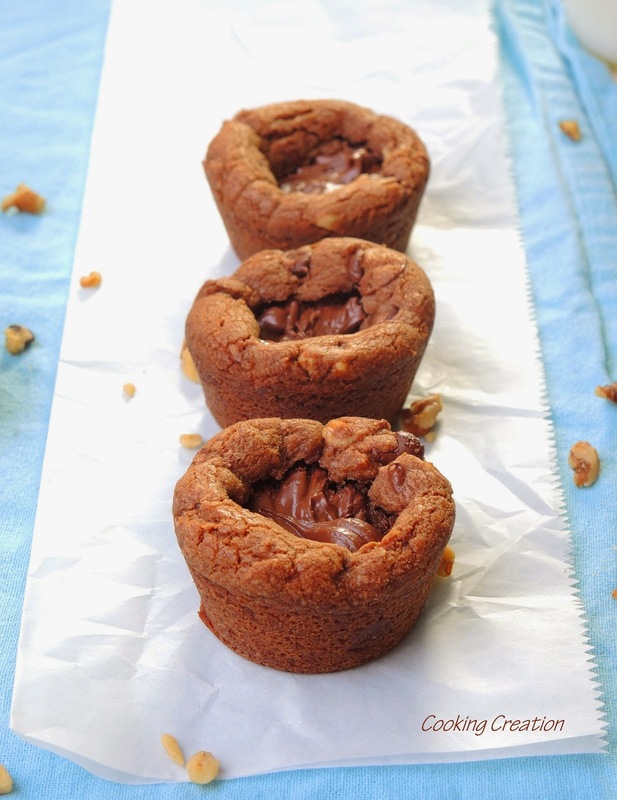 Decadent goodness with a delightful fudgy, chewy center. It's also so easy to make. Note: Regarding the serving size, each fudge puddle is larger than your average cookie. Look at it as a dessert experience - like having a slice of cake on your plate. 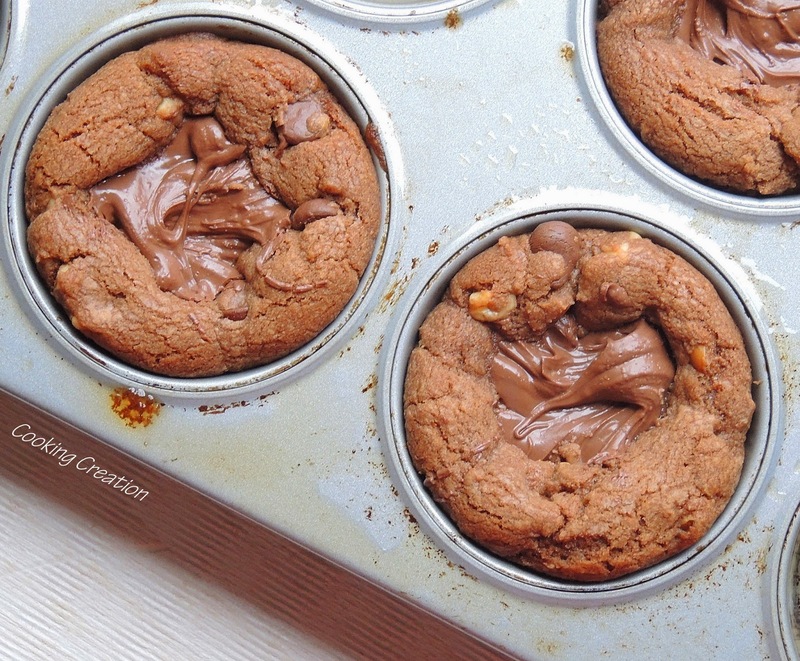 If you'd like them to be smaller, you can easily use a mini muffin pan the same way. Do yourself a favor and start gathering the ingredients now. Trust me - you need this in your life! Preheat oven to 350 degrees. Generously grease two muffin pans. Set aside. In a large bowl, whisk together the butter, white sugar, brown sugar, egg, 2/3 c of the Nutella, and vanilla until well combined. In a separate large bowl, combine the flour, baking soda, cinnamon, salt, chocolate chips, and walnuts. Pour the dry ingredients into the wet ingredients. No need to slowly incorporate. Stir until well combined. The dough will be thick. With your hands, shape the dough into 18 balls. 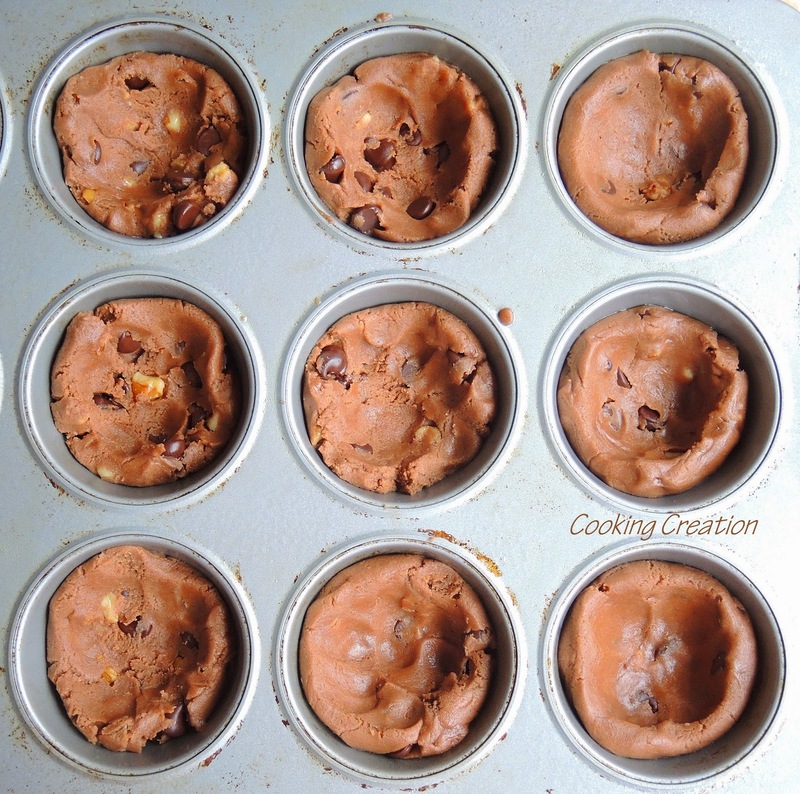 Place each dough ball into the center of a muffin pan well. With your fingers, gently press down in the center of each dough ball and shape the edges up the sides of the muffin pan about two-thirds of the way to the top. See below picture. 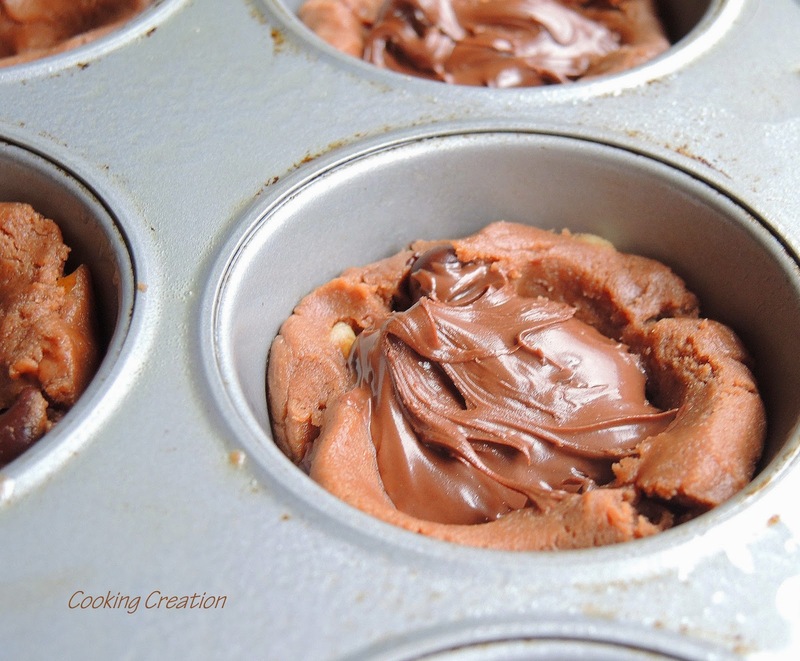 Spoon about 1/2 tbsp of Nutella into the center of each dough well. Bake in a preheated oven for 15 minutes. Allow the cookies to cool in the pan for 5 minutes. Gently and carefully slide a knife between the cookie and the edge of the muffin pan to loosen the edges. The cookies should be able to easily spin around in the pan. Allow the cookies to cool for 10 minutes longer in the pan. Gently slide a knife or spoon between the cookie and the edge of the muffin pan and use your fingers to lift out the cookie. Make sure you can easily spin the cookie around with your fingers while in the pan before you lift it out. Serve with a cold glass of milk. Enjoy!